Nothing is worse than when you’re in a hurry to leave home, and you realize your drain is clogged. It is always ideal to be alert and notice the signs of a slow drain before it actually gets clogged. It’s easier to open a drain that’s slowing down then one which is already clogged all the way. Here are a few tips on how you can prevent this. Run or pour scalding water down the drain. This will help break up grease buildups that may be clogging the lines. 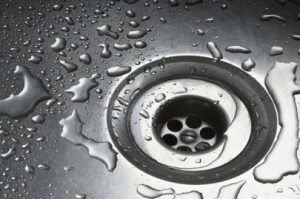 If hot water doesn’t unclog the drain, there could be some object in the drain causing the clog. How can you check? Remove and thoroughly clean the sink pop-up stopper or strainer. The most effective way to clear a clog is with a snake. It’s the fastest way to get the unwanted object(s) out! You can also try using a plunger or a chemical drain. Though routine use of chemical drain cleaners to prevent clogs may eventually damage your pipes if used too much. However, if water is draining somewhat, but plunging has failed to open the drain completely, you may want to try using a drain cleaner. Whenever you use chemicals, always be very cautious and be sure to be in a well-ventilated room. Here are some precautions you should be sure to take when using chemicals. Always wear rubber gloves to prevent the chemical from burning your skin. Do not use a chemical cleaner if the blockage is total, especially if the fixture is filled with water. It won’t clear the blockage and you’ll face another problem-how to get rid of the caustic water. Always read labels and match cleaners with clogs. Alkalis cut grease; acids dissolve soap and hair. Do NOT mix chemicals. Mixing an acid and an alkali cleaner can cause an explosion. Do NOT look down the drain after pouring a chemical. The solution often boils up and gives off toxic fumes.